Add the soy sauce, rice vinegar, brown sugar, toasted sesame oil, red pepper flakes, corn starch, and water to a bowl. Peel the ginger and then grate it straight into the bowl using a small holed cheese grater. If you don’t have a grater, you can mince the ginger. Mince the garlic and add it to the bowl as well. Stir to combine the ingredients. Heat the vegetable oil in a large skillet over medium-high heat. Once the skillet is hot, add the vegetables. Stir and cook for only about 2 minutes, just to slightly heat the vegetables. 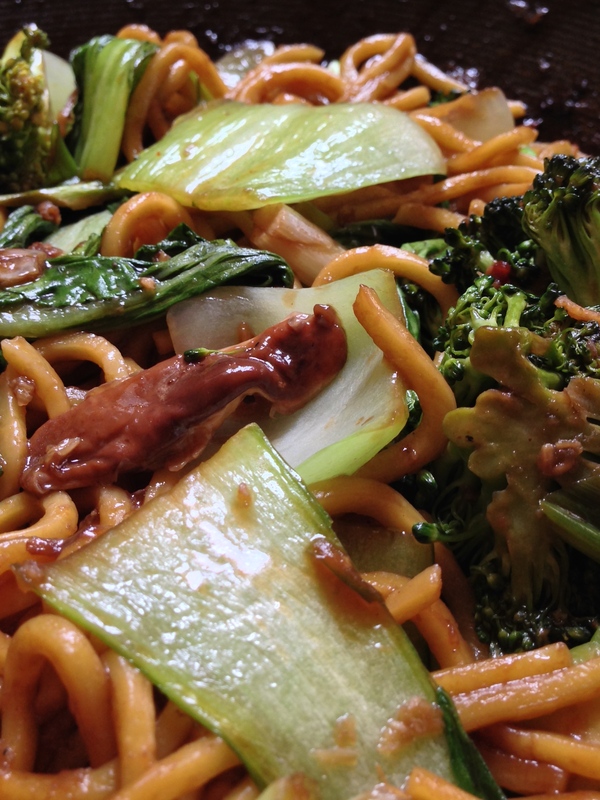 Briefly stir the teriyaki sauce and then pour it into the skillet. Allow it to come up to a simmer, at which point it will thicken. The vegetables will finish heating through as this happens. Turn the heat off once the sauce is hot and thick. 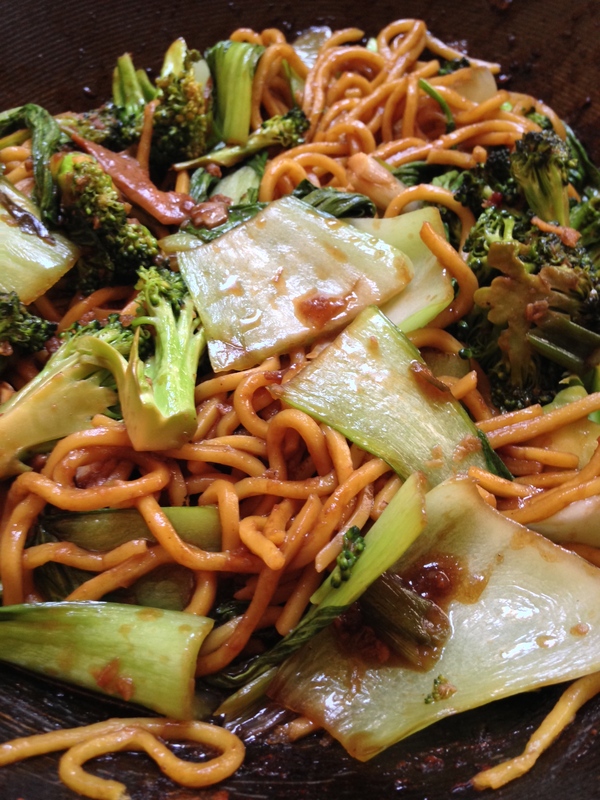 Add the drained noodles to the skillet and stir until they are coated in the sauce. 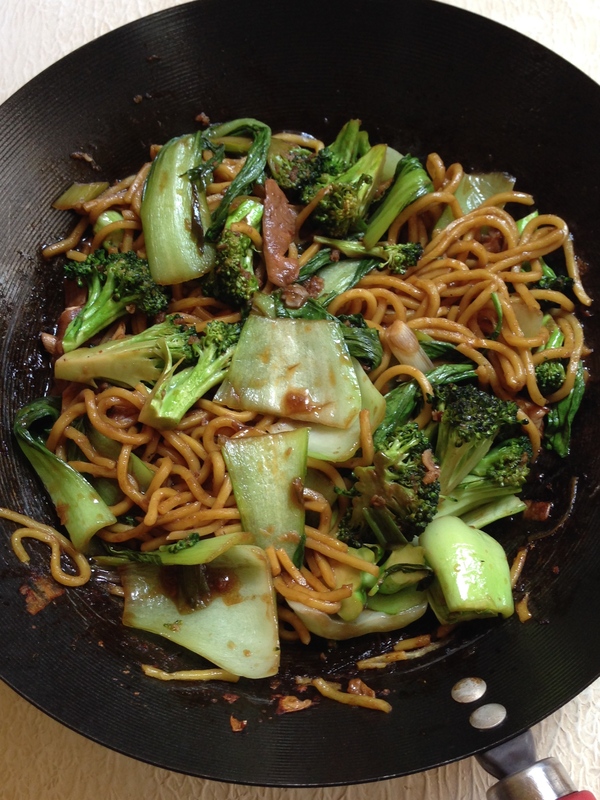 Divide the noodles between four bowls and then spoon any leftover vegetables from the skillet on top.